The absence of new resin crack from Forgeworld (soon to be rectified!) I'm continuing to repaint the final units of my Death Korps collection. 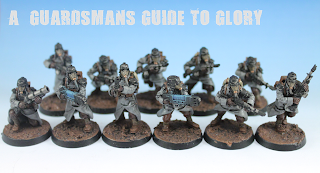 Next up, Second Platoon Command Squad. 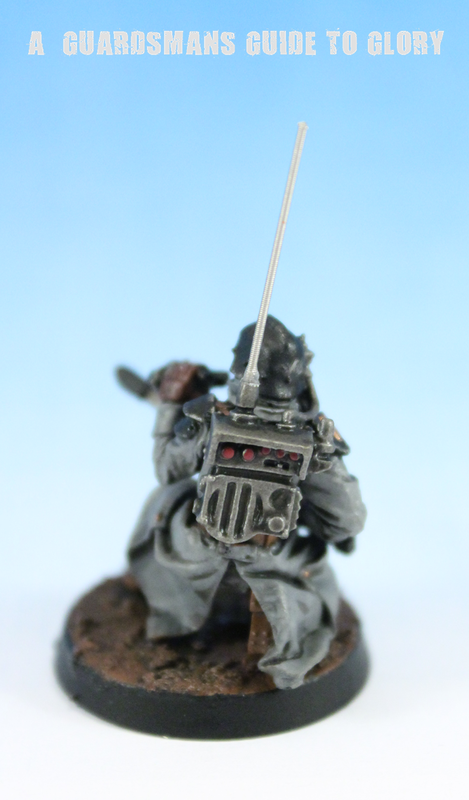 Vox antennae have always been a bit of a pain to model without them continuously snapping off! I've decided to give guitar string a go, as its got a bit of give in it. Looks good, so I've gone through the army and upgraded all the Vox Operators with their own guitar strings! Second Platoon is denoted with a green Standard. 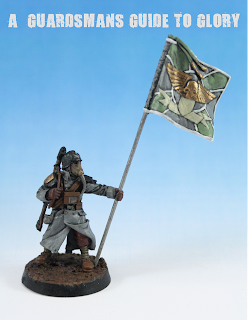 Here's a shot of the Platoon 1 Standard Bearer, denoted in red. 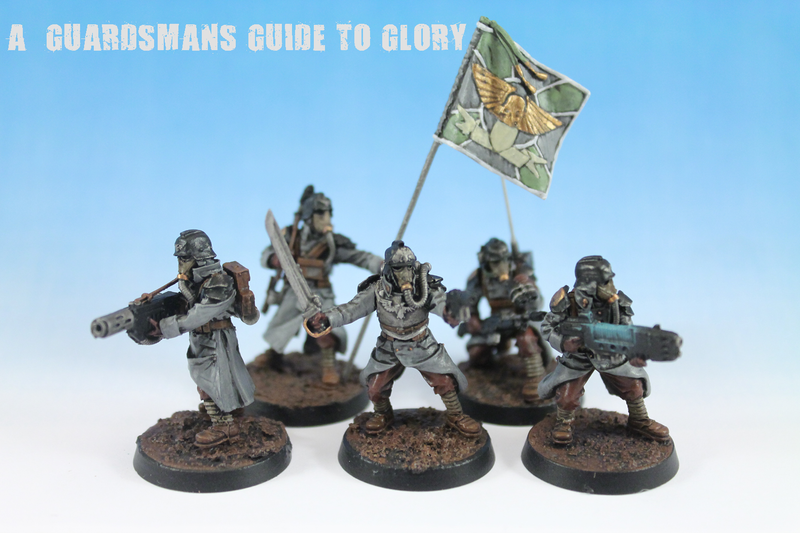 Its a nice distinction, but it has no practical application, as the Kreigsmen have no markings to affiliate the with their Platoon!. Here is the whole of the repainted A-Battery! These guys take up an Elites choice in the FoC, and at 55pts a pop, with 4 S6 Barrage shots, its a must have for a themed DKOK army! 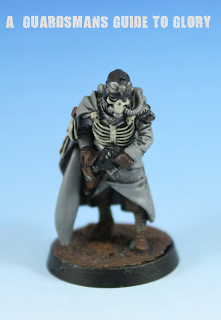 With new models to paint in short supply, I'm continuing with the repaint of the Krieg. 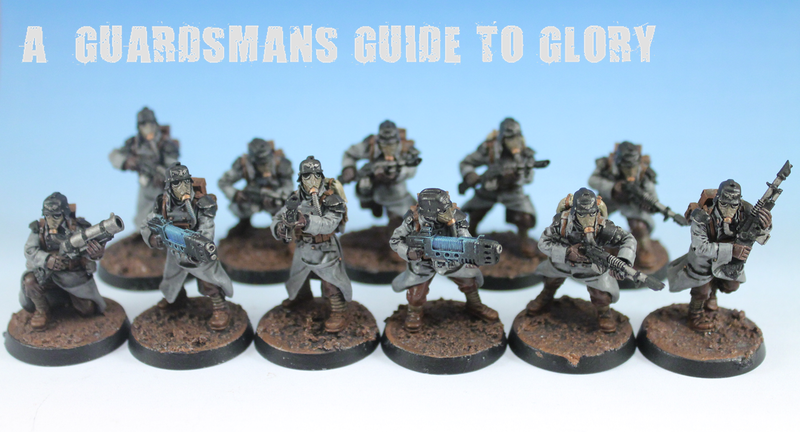 With this and the last infantry squad now completed, there are only about four more units left to do. 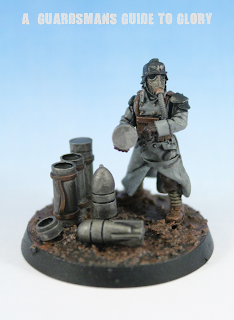 One that is done, I think I'll look at expanding the collection, particularly in the Artillery and Infantry areas! 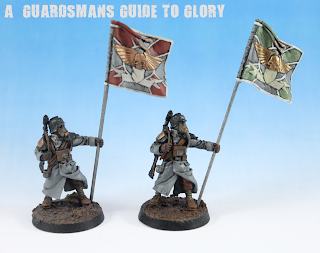 That's a post for another day though - in the meantime, here's the repainted Quartermaster and his Retinue. 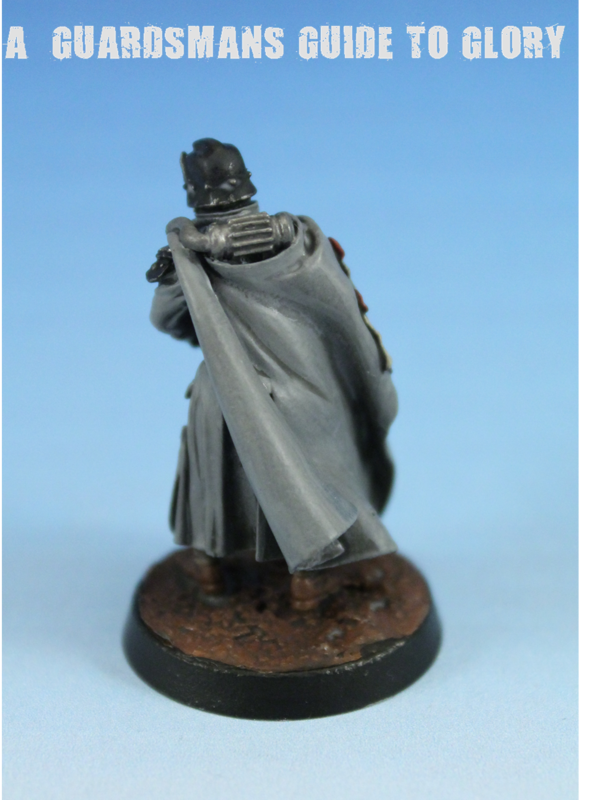 The only model that actually received a full repaint was the Quartermaster. 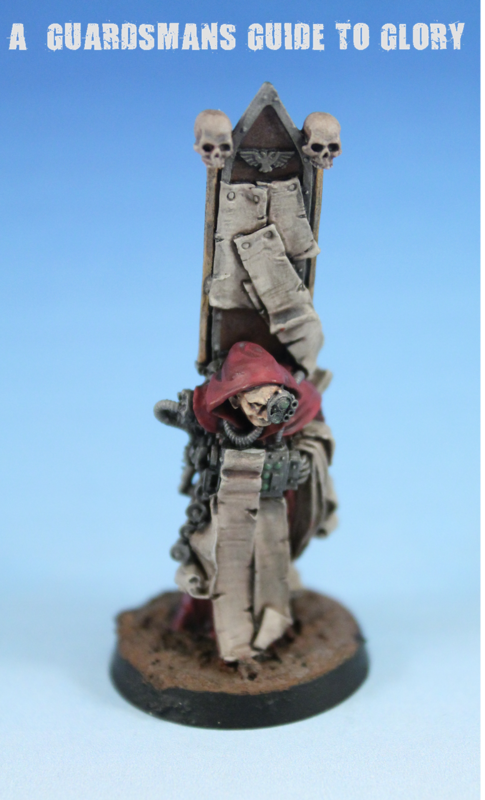 The Servitors were a bit dusty from a bad varnish job, so I just touched up their robes and metallic areas to freshen them up a bit. 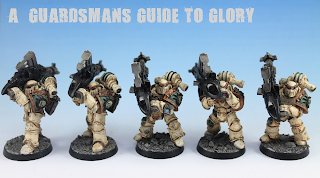 The detail on these minis is really nice. 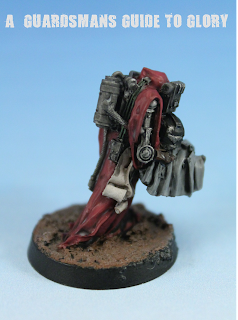 Scribe - probably my favourite Servitor! I also have the wounded Kriegsman, but he needs repainting. He's regularly used as an objective marker! Hobby posts will be tailing off a bit over the next few weeks, as I'm now back to work after a long period of injury. But I'm hopeful for some new Forgeworld models for my birthday on Friday! 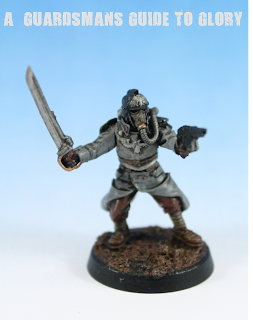 The second of my Lone Wolves was completed pretty quickly. I'm really glad I put him on a nice base to make him stand out a bit - I think these solemn warriors need a bit of special attention. 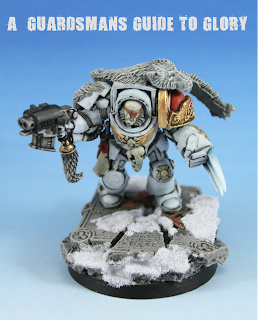 The wolf pelts really helped make this generic Terminator a Space Wolf. 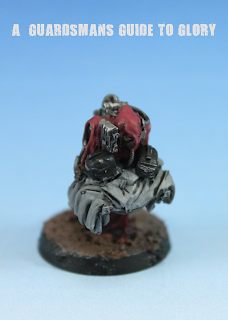 The Scibors Shoulder pad is perfect for this model; its helped make it pop a bit. The Wolf Claw was airbrushed to created the graduated tones. This army is near enough done now. 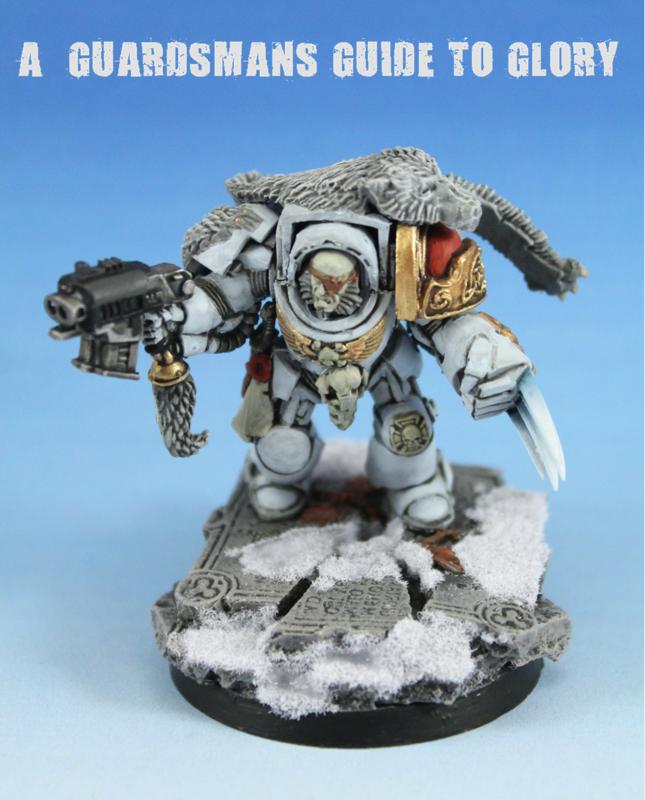 When I pick up the Fenrisian Wolves this weekend it'll be complete! Looking forward to giving them a run out on Sunday at club. 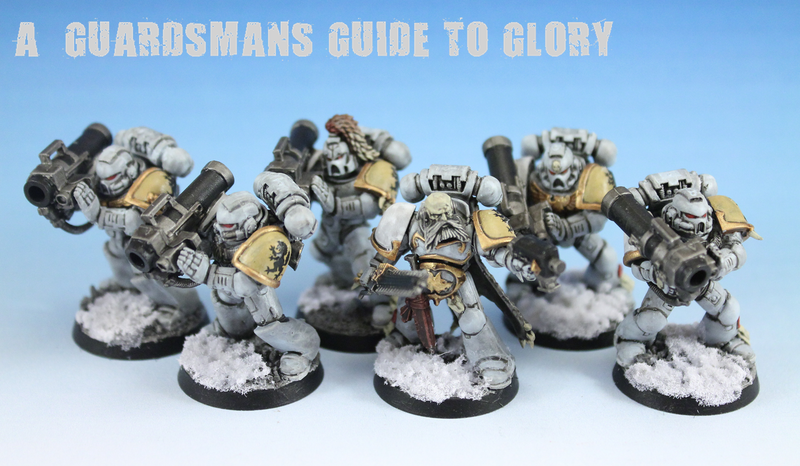 In between bouts of Space Wolf work I finished of these bad boys. This is certainly one of the nicest units in the army so far! Armed with missile Launchers, this unit will be vital in defending the army from airborne threats. The purchase of Flakk Missiles will certainly give flyers pause for thought. 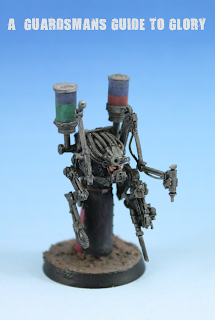 I also purchased an Augary Scanner for the squad for a measly 5pts. 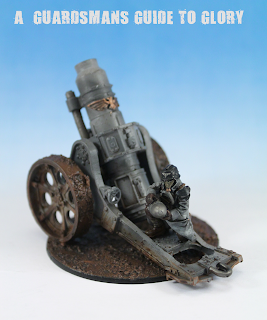 There was a small scanner unit included in the missile Launcher set from Forgeworld, so I've attached it to one of the Legionnaires to represent this. 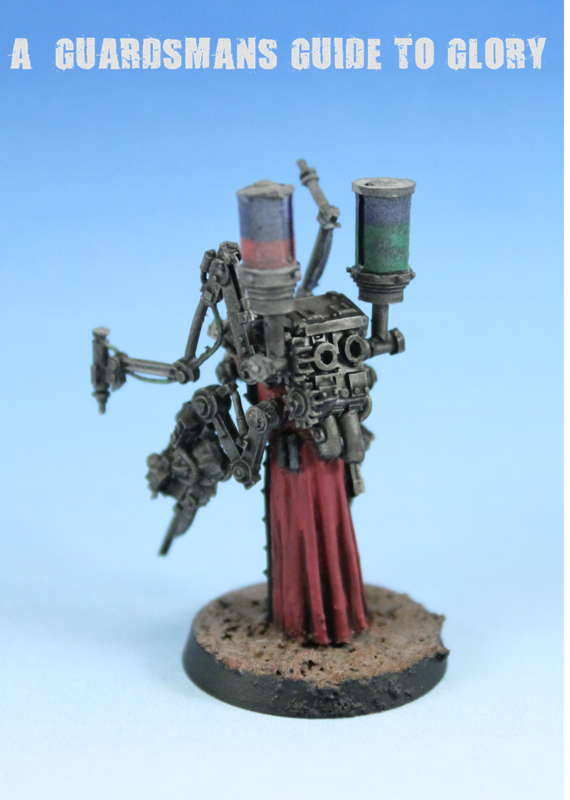 The completion of this unit actually leaves me high and dry, with no more Legion models to work on! Bad times.... However, it is my birthday in just over a week, and as I mentioned in a previous post, I think my lovely girlfriend has a nice Forgeworld related gift waiting for me. A random change of direction this week! I've had a squad of Long Fangs built and ready to go on my painting desk for about 2 years now, no joke! 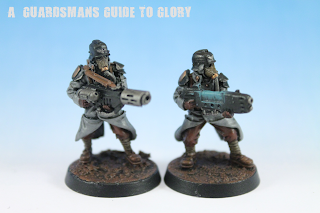 Last week I looked at them and thought, its about time I got you painted! Its a bit of a rush job to be honest - I just wanted them done and out of the way so I didn't have to look at them guiltily anymore! 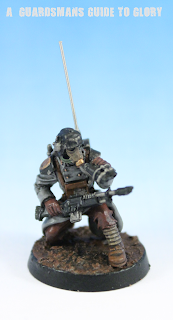 With the Vlka Fenryka on my mind I looked that the rest of the assembled force in my display cabinet. 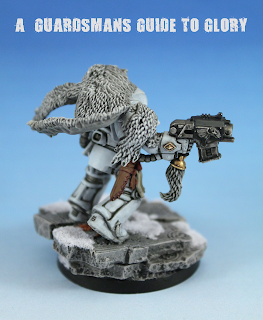 I realised that the army was only now 1 Lone Wolf and 4 Fenrisian Wolves away from completion! A buddy of mine had 4 Wolves for me which I'll collect at the weekend, so I set about making the last Lone Wolf. I really didn't want to trawl eBay looking for parts, so I hopped I would find what I needed in my vast 'bits' collection. Fortunately I did. The main torso and body are generic Terminator parts, the arms are spare Wolf Guard parts as was the fur pelt. The left shoulder guard is from Scibors Miniatures as is the scenic base. 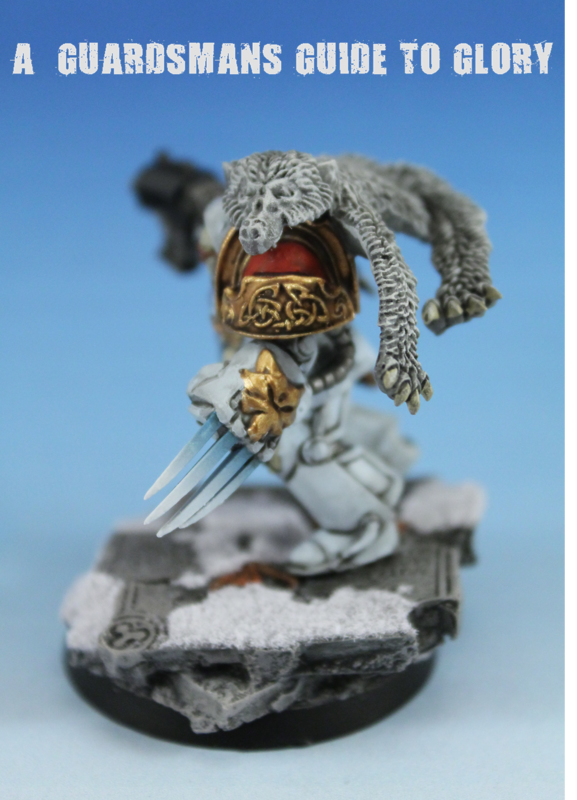 I stuck on a couple of wolf skulls, tails and daggers to 'Space Wolf' it up a bit as well! 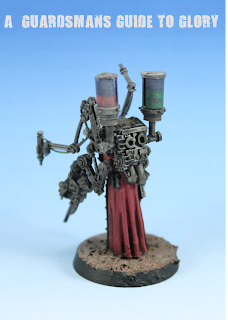 For a mini that was 'Frankensteined' from spare parts, it turned out quite well. An extra wolf pelt arm was glued to the left and side of the pelt to make it a bit more complete. As this pelt didn't really fit properly onto the top of the generic Terminator torso, and the addition (and omission) of the pelt arm, some green stuff work was required. Certainly not complicated, but it really did the trick. The base from Scibors is a beauty, and I totally forgot that I had these! This is the Vlka Fenryka so far - when they're complete i'll take them to club, as surprisingly, they've never seen a game in the years that I've had them! Sorry there's been no WIP pics on the units lately. I'm churning these babies out so fast that it hardly seems worth it! So this is not only a freakin' awesome model, its going to provide some much needed fire support to my Legionaires in games. For only 100pts its a steal. The colour scheme of course matches the rest of the vehicles and walkers in the army so far. 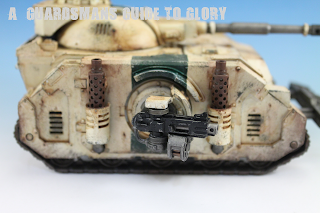 I really like the way the weathering came out on this tank. I don't think I did anything different, but it looks the nuts! 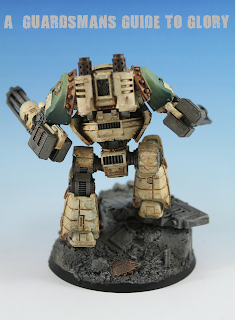 The green markings were a pain to paint on around the sponsons, but I got it down after a few passes. 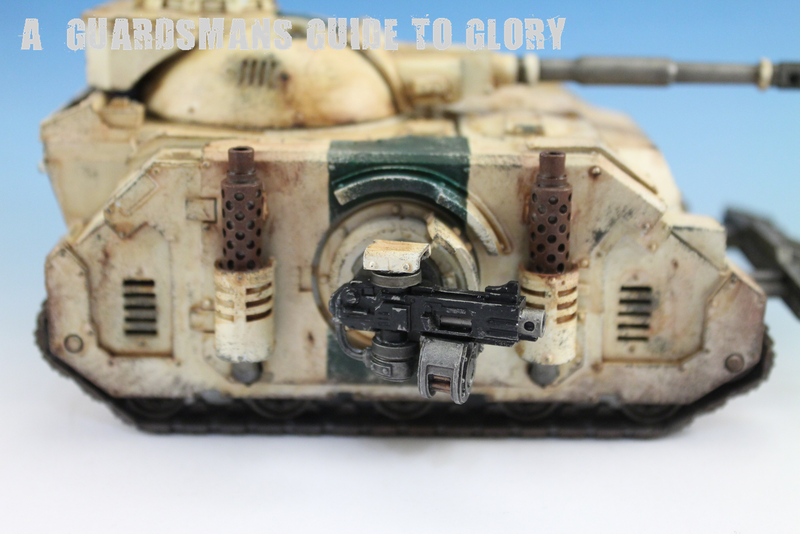 I also added a smaller green stripe on the turret to break up the base colour a bit. 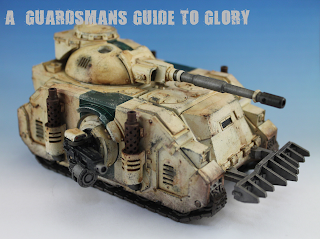 I really wished i'd got some Death Guard Brass Etch and Transfers in my last Forgworld order, as they'd look really good on this tank. I'll be adding a transfer of some brass etch to the centre of this turret stripe later on. 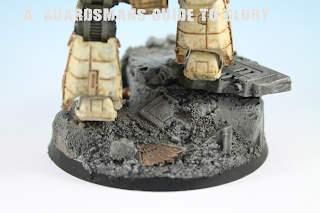 The barrel of the Predator Cannon was treated to a bit of weathering powder, and that saw it done! I've moved swiftly onto the next unit: Legion Heavy Support Squad with Missile Launchers. 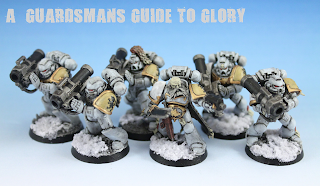 I've also upgraded this squad with Flakk Missiles and an Augary Scanner (allows Interceptor for units deploying within 18in of the unit) This unit along with the Contemptor Mortis will supply the anti-aircraft element to my Legion forces. This unit should be completed by the end of Friday, which will give me a force big enough to field in battle! I'll be taking them along to club next week for a spin! 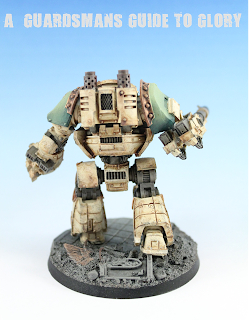 The second Contemptor is now complete, this time its a Mortis Pattern. It obviously looks the same, but it has slightly different rules set. 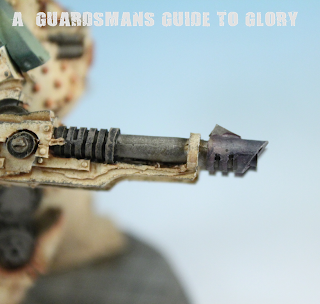 You can find these rules in Horus Heresy book 2: Massacre. 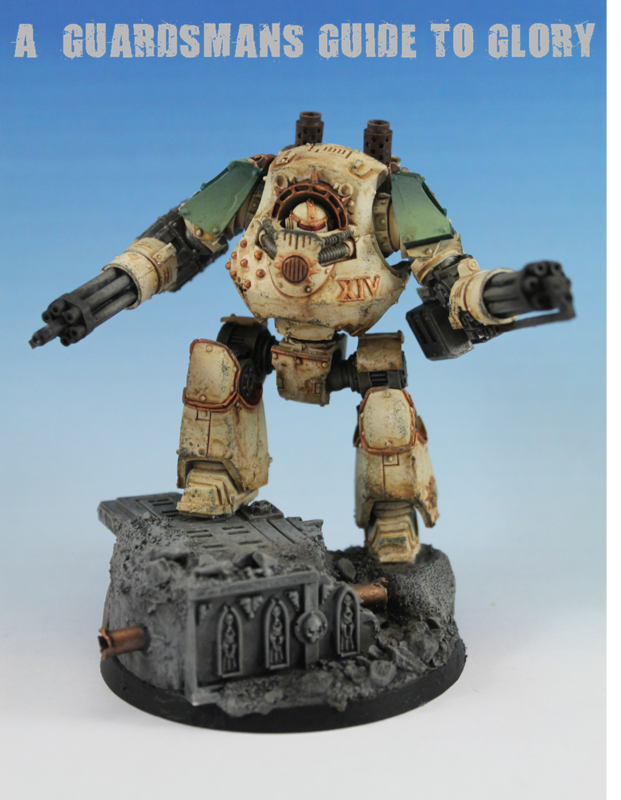 An identical colour scheme was used on this Mortis and the previous Contemptor. Some black weathering powders were applied to the Kheres Pattern Assault Canons. I gave the base of the Mortis quite a bit of attention to compliment the dynamic pose I wanted the Dreadnought to have. I used foam and milliput to create the height, and some Cities of Death pieces to finish it off. 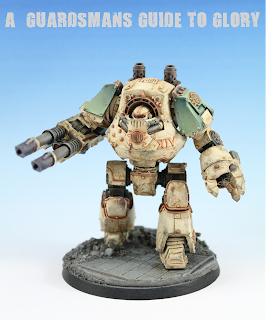 Think I love this Contemptor more than the last one! I've now got enough points of Death Guard to play a 1200pt game, so im really looking forward to giving this guy a run out! 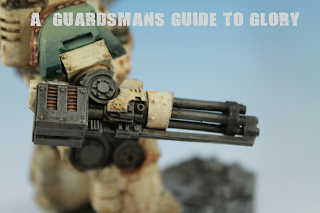 In the post from Forgeworld is a MKIII Heavy Support Squad with Missile Launchers and a Demios Pattern Predator. I also suspect that my lovely girlfriend picked me up a Fire Raptor Gunship from Games Day for my birthday, which is in 3 weeks. A lot more resin to come! Its been a quiet week on the blog because my router died, so Sky had to ship me a new one, and they took their sweet time! I have however, been keeping busy. At Games Day a few weeks ago I picked up a copy of the new Horus Heresy Book 2: Massacre (which has some very nice additions in it!) and also a pair of Death Guard Contemptor Dreadnoughts. They have been the focus of my attentions this week. This is the first of the two - armed with a Twin linked Lascannon and a Dreadnought Close Combat Weapon with Twin Linked Bolter. 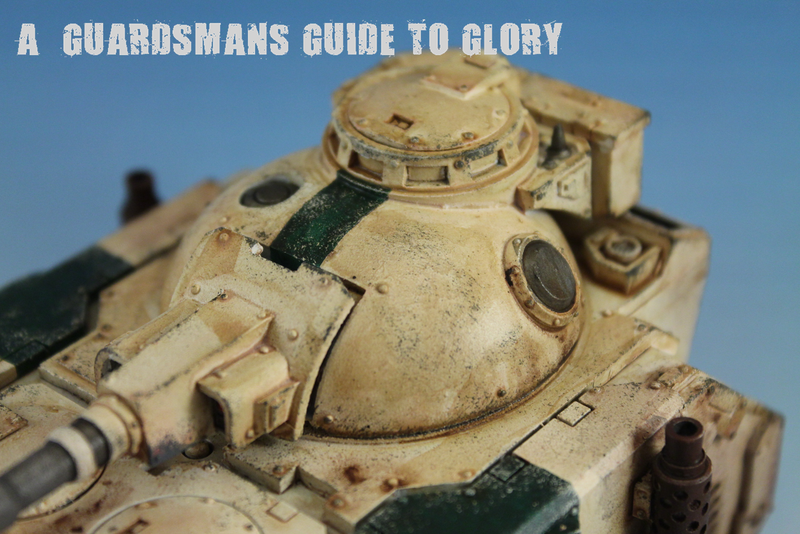 The colour scheme follows the one used on the Legionnaires closely, with extensive weathering applied to the armour sections. 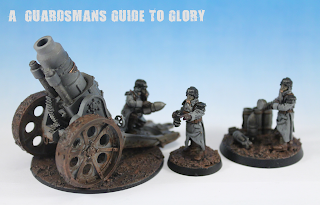 I attempted some heat distortion on the barrels of the Lascannons. 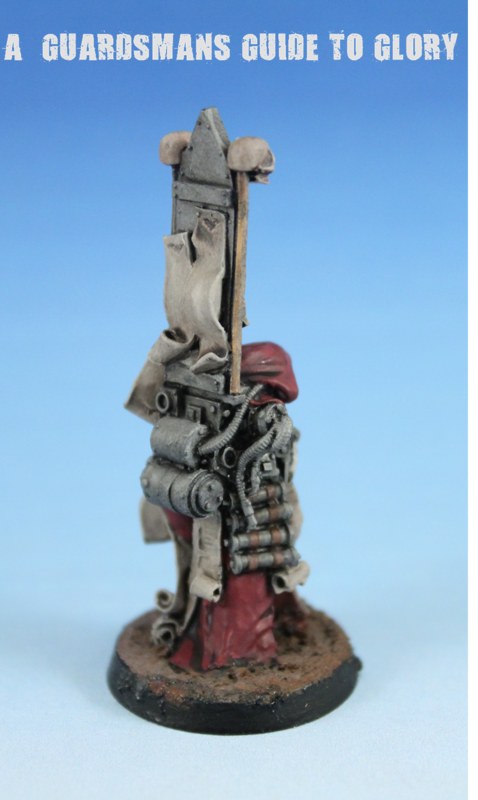 This was done be first applying a heavy blue wash and then a lighter purple wash afterwards. You cant really see the effect well in this picture, but it came out pretty good! 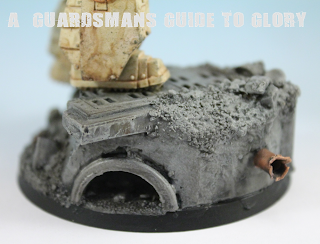 I gave the base some attention, with some ruins and rubble to match the rest of the armies bases. 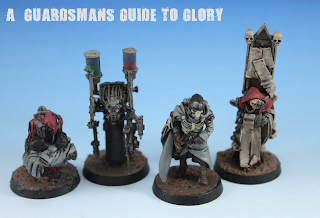 These are great models, I'm really looking forward to working on the next one! I may have to buy a third to make a complete Talon! A great deal of progress has been made on the Trench Works this week! 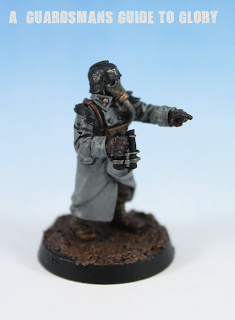 A Trench Battlefield isn't a Trench battlefield without....well, Trenches! As much as I love the Wall of Martyrs sets, I think they went a little overboard on the details. So the Trenches didn't hurt my eyes so much, I covered them in some mud! Besides, this will make the Death Korps feel more at home. Then to painting. I kept it simple, painting only the decorative plates and the mud. 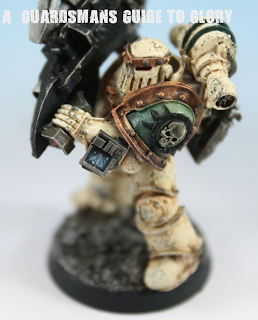 Dwarf Bronze was used on the plates and Beastial Brown for the mud. 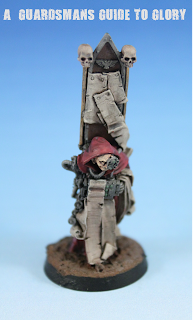 The brown was applied using an airbrush. I think the detailing on the trenches looks much better when poking through a load of mud! 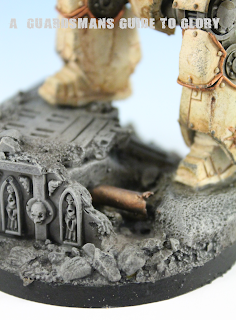 The whole trench was then given a thick heavy brown oil paint wash.
Rock detailing. I was very pleased with the way these turned out. The process was a little lengthy, but it was worth it. 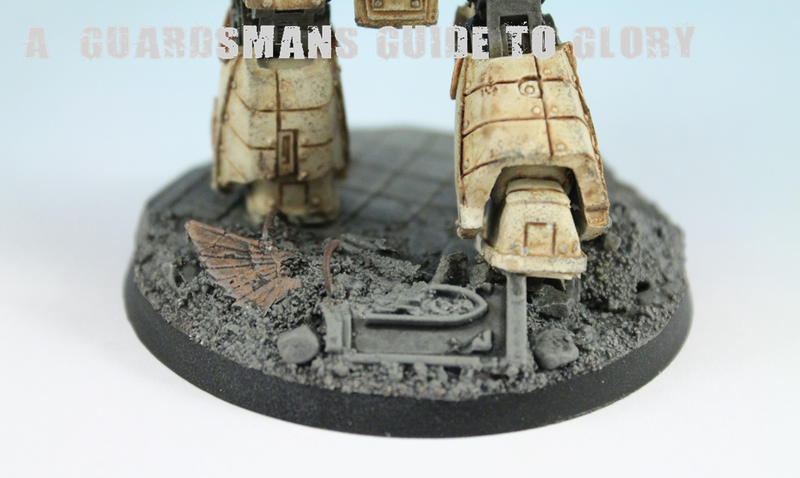 Airbrushing the mud gave a nice graduation onto the actual trenches themselves. In full 'Bunker Mode' I rapidly built and painted the second bunker in the same manner as the first. This build was much quicker. I used a higher density foam for the rocks than the first. I think the gave me much better results, with some nice tight angles. As well as the same layout. Unfortunately though I wasn't quite as thorough when applying the PVA to protect the foam. So when I came to applying the spray varnish, some small portions of the foam melted! I've reapplied some mud to the affected areas and plugged the gaps. Once its dry i'll paint it again. Some plastic T-Bar and I-Beams were crossed and stuck to some MDF, then some garden wire was coiled and strung between the beams. Looking pretty good! Incidentally, I've taken the Sewage Works Battlefield out for a spin as well, complete with its 2 new additions. my Death Korps Armoured Regiment faced off against some Dark Eldar with enough Dark Lances to take out a Battalion of Tanks!! I went on to win this one though.